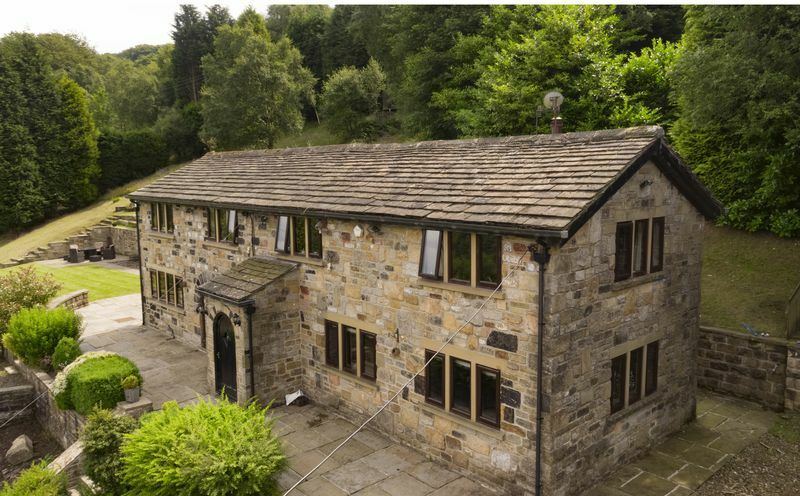 Marshaw Bank Farm is an impressive detached farmhouse set in approximately 7.5 acres of land and gardens, and enjoying an elevated position with views over the rural village of Cragg Vale. 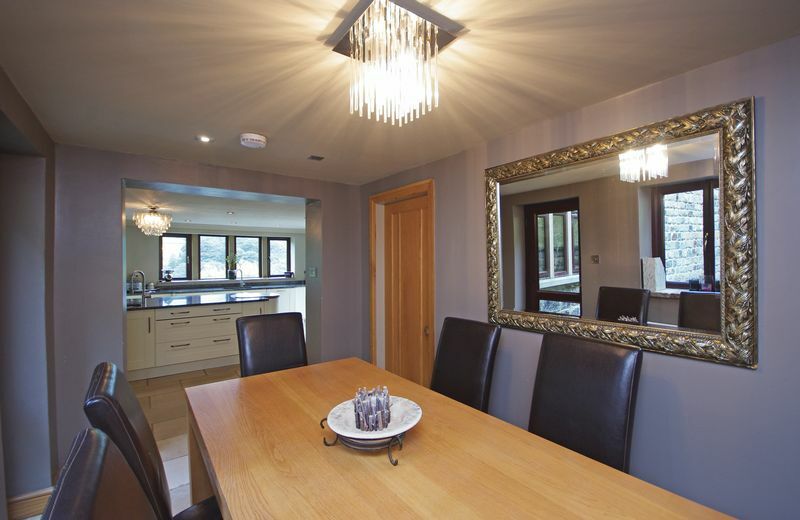 This beautiful property has been lovingly updated by the present owner to create a stylish home, perfect for family life and with large living accommodation ideal for entertaining! The property is accessed via a central entrance hallway with an oak staircase rising to the first floor and an under-stairs storage cupboard. To the rear of the hallway is an attractive cloakroom / WC housing a two-piece suite, built-in storage and motion sensor lighting. 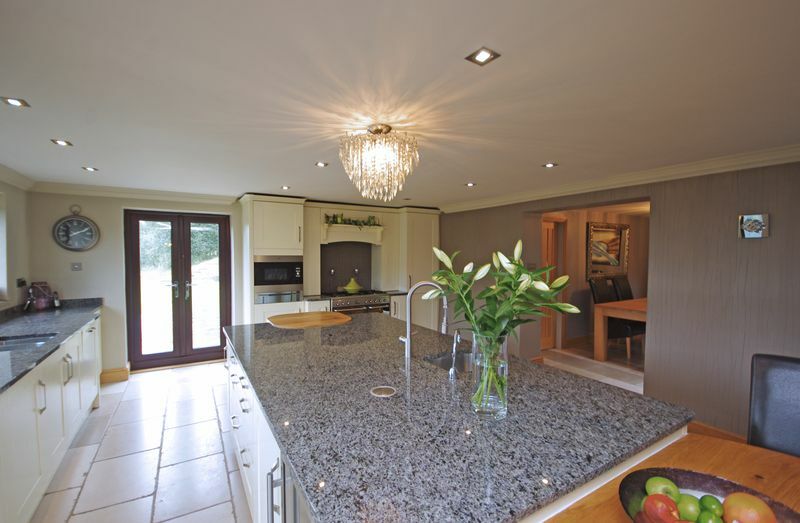 The vast dining kitchen is equipped with an extensive range of units, including a huge island unit, with granite worktops and under-mounted sinks, a Smeg range cooker and integrated appliances including a dishwasher, fridge freezer and microwave. 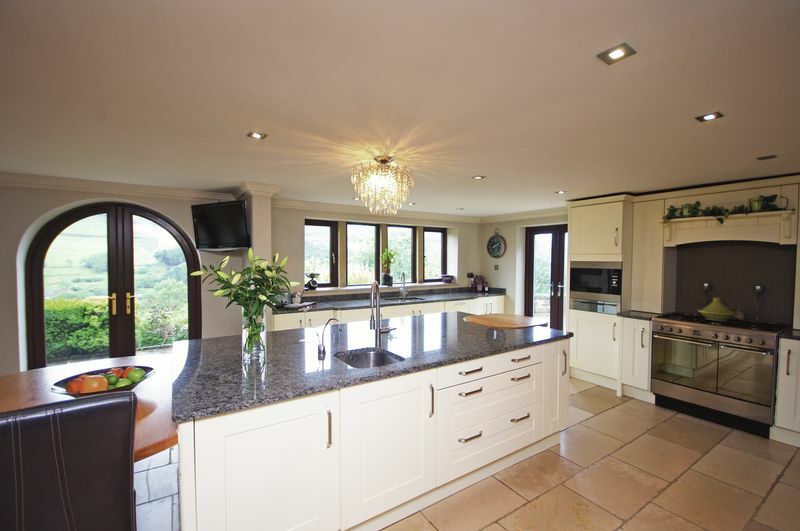 The kitchen is light and airy with two sets of French doors leading out to the garden plus windows to the front and rear elevations. 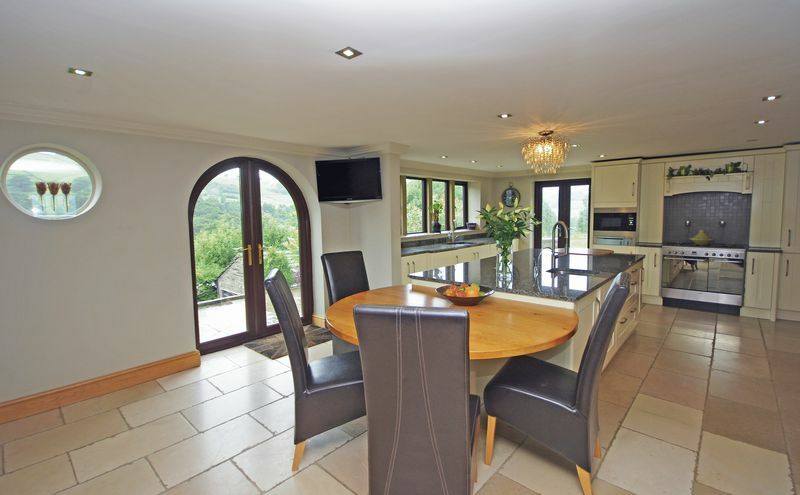 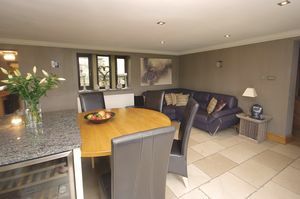 Open to the kitchen is a cosy dining room which has a window and access to the garden. 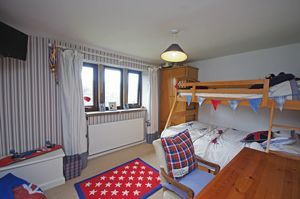 There is a good-sized utility/boot room with plumbing for a washing machine, space for a tumble dryer and an external door, perfect when returning from muddy country walks! 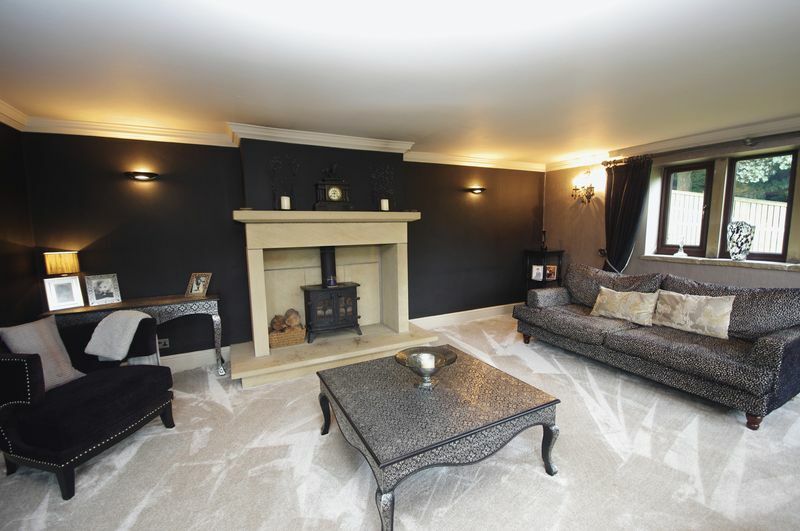 The elegant sitting room has dual aspect windows overlooking the fine gardens and an impressive stone fireplace with multi-fuel stove. The first floor landing is light and bright with a window to the rear overlooking the gardens. 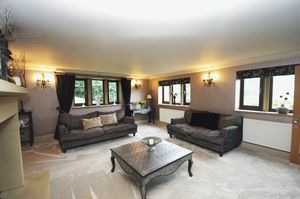 The landing gives access to all of the first floor rooms. The very spacious master bedroom has dual aspect windows taking full advantage of the breathtaking rural views, a walk-in wardrobe and a stylish en-suite wet room, again enjoying superb views, with large walk-in shower, concealed cistern WC and wash hand basin. 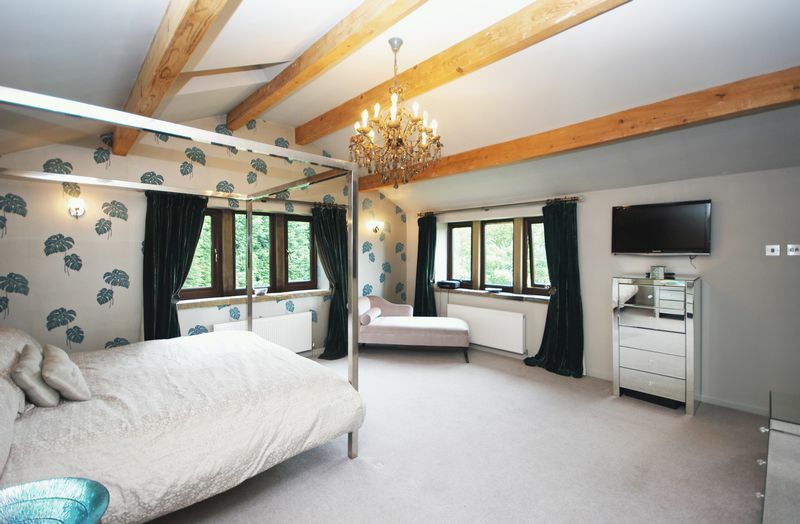 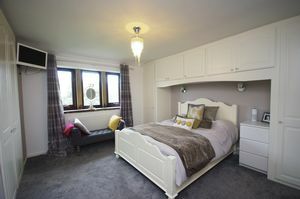 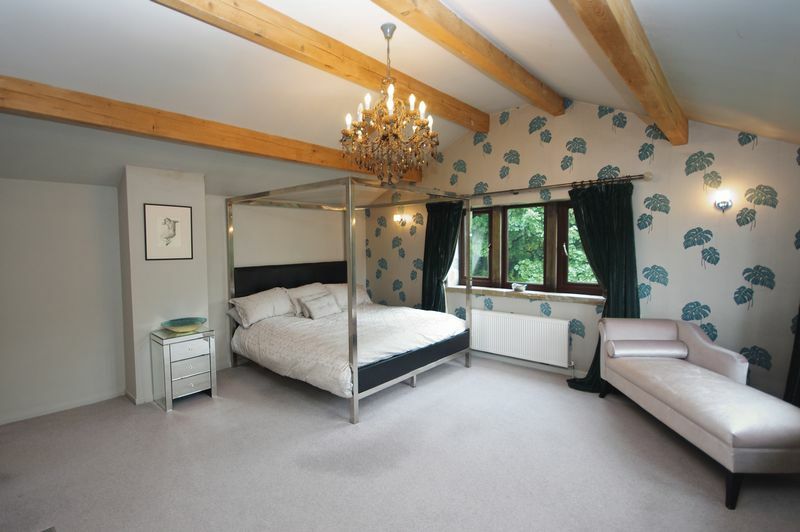 Bedroom 2 is a generous double and has built-in bedroom furniture, a walk-in wardrobe and three-piece en-suite shower room. 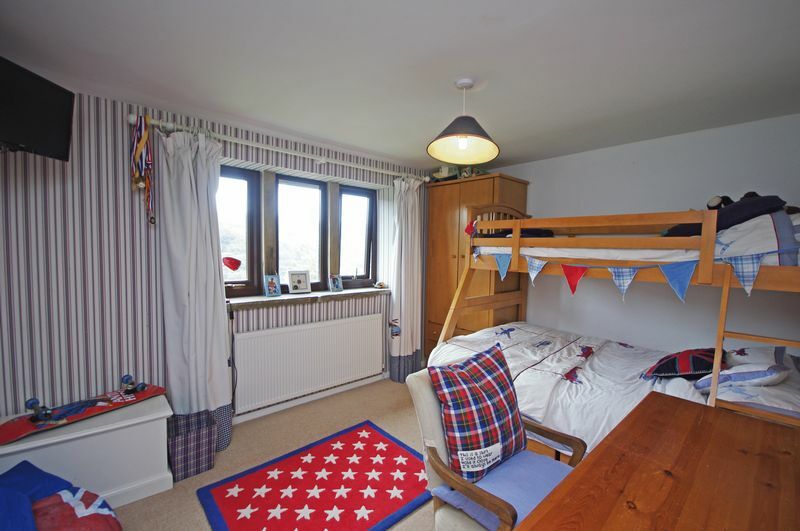 Bedrooms 3 and 4 are both double bedrooms, with Bedroom 4 presently used as a study and having direct access through to the conservatory and garden beyond. 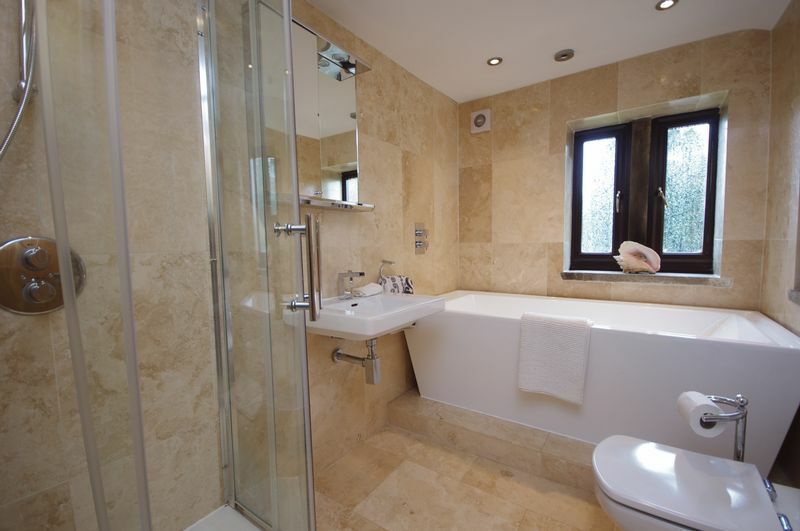 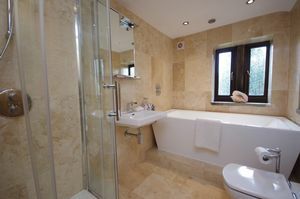 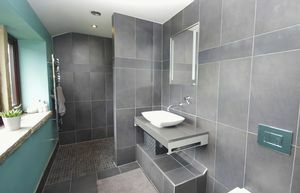 The bedrooms are complemented by a four-piece house bathroom comprising contemporary rectangular bath, shower cubicle, wall hung basin and a WC. The property is set within 7.5 acres of land and gardens. The land is split into one field and an area of woodland. 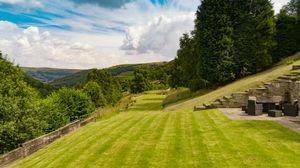 The delightful gardens are predominantly laid to lawn with a large paved terrace, mature trees and delightful valley views. The property has stabling for two horses. 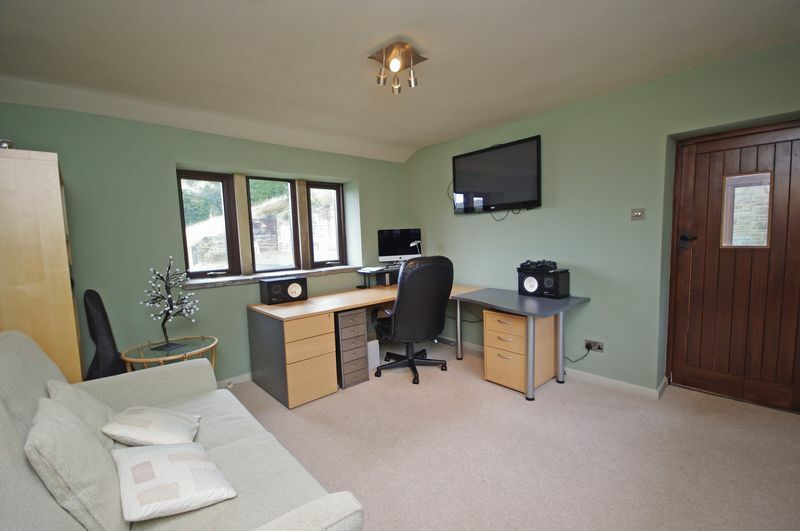 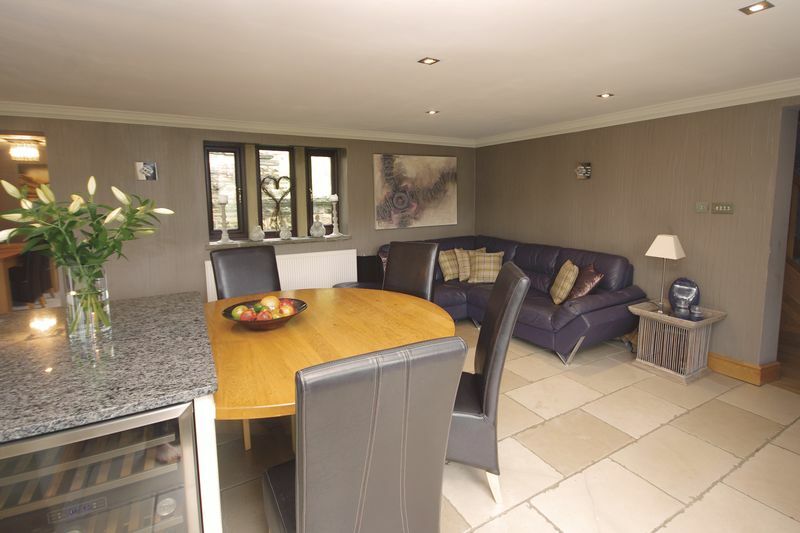 The property is approached via a gated private driveway which leads to stone-built garage and an area of parking. 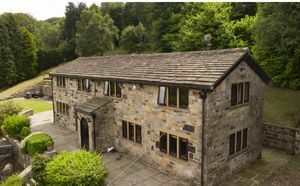 The driveway extends up to the side of the house where there is additional parking and level access to the property. 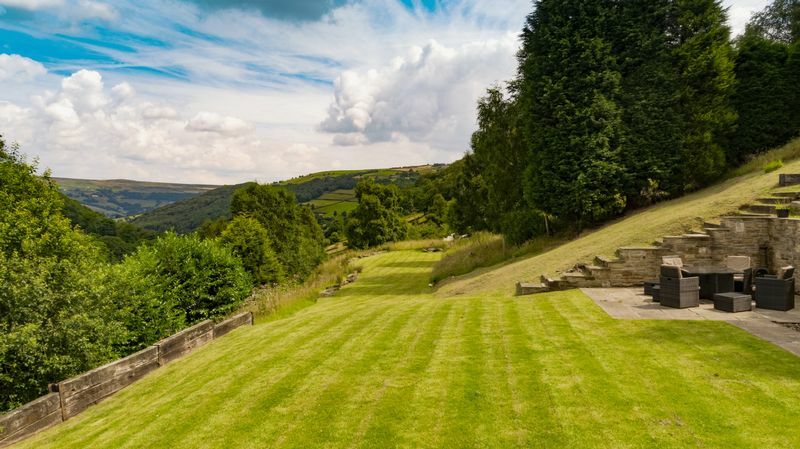 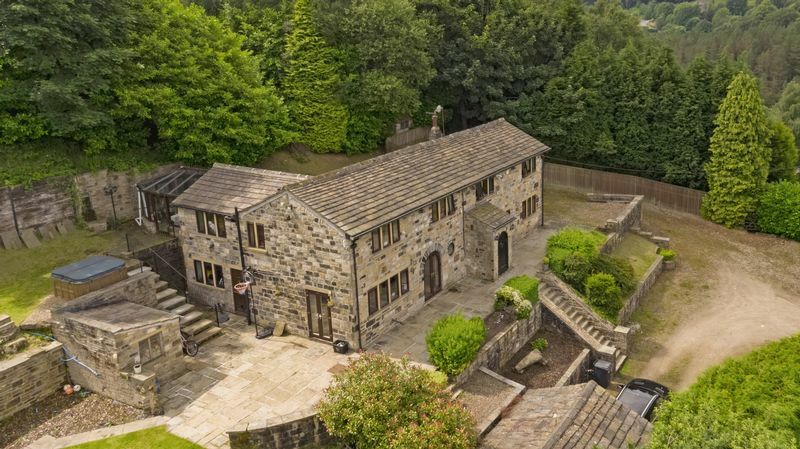 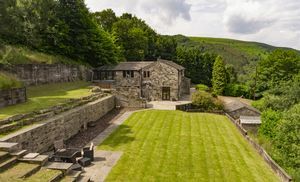 Set in a superb location above Cragg Vale, the property is perfectly positioned to enjoy the outdoor lifestyle, with walking routes, horse-riding and mountain biking available on your doorstep. The property is within a short stroll of two public houses and the village church, nearby Mytholmroyd is just a few minutes by car, offering excellent amenities including schools, a health centre, dental surgery, vets practice and a selection of shops, pubs and restaurants. 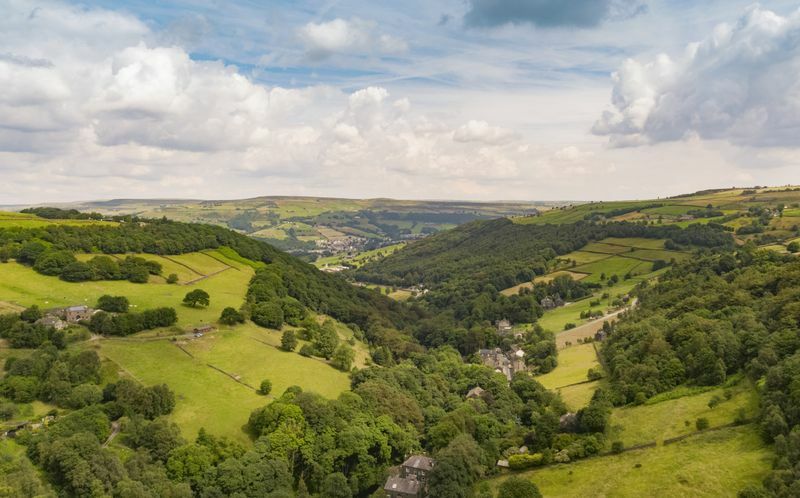 The market town of Hebden Bridge is within a 10 minute drive. 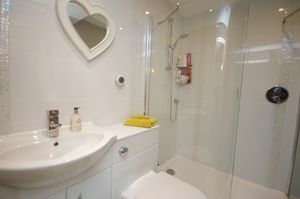 All mains services. Gas central heating. 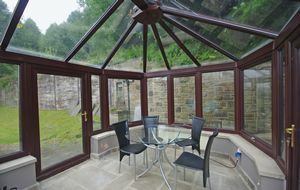 Hardwood double glazing. From Halifax proceed towards Hebden Bridge taking the A646 Burnley Road. 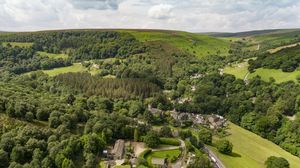 Upon entering Mytholmroyd, turn left after the pelican crossing into New Road and proceed into Cragg Road. 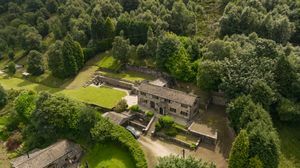 Proceed for approximately 1 mile and upon reaching the turning for St John’s Church & ‘The Hinchliffe’, immediately turn left into Four Gates End, identified by our sale board, continue uphill and the property can be found straight ahead.